The Untitled Space, image courtesy of The Untitled Space gallery. 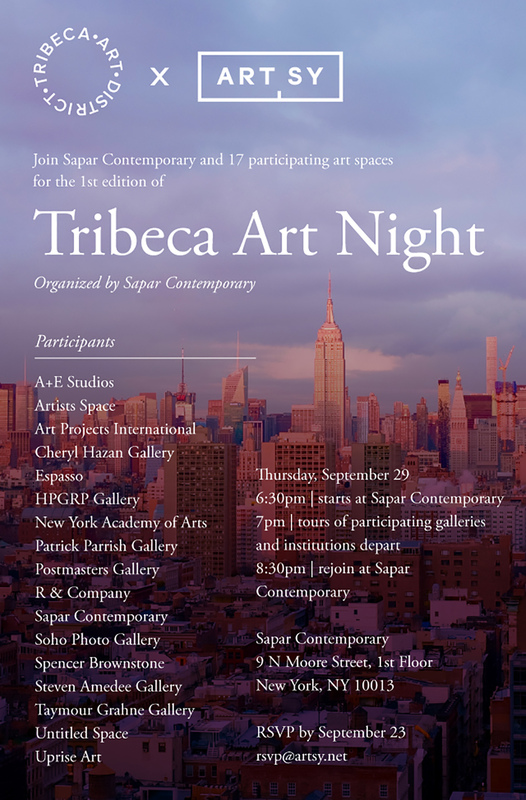 Tribeca Art Night will make its debut today, September 29th. 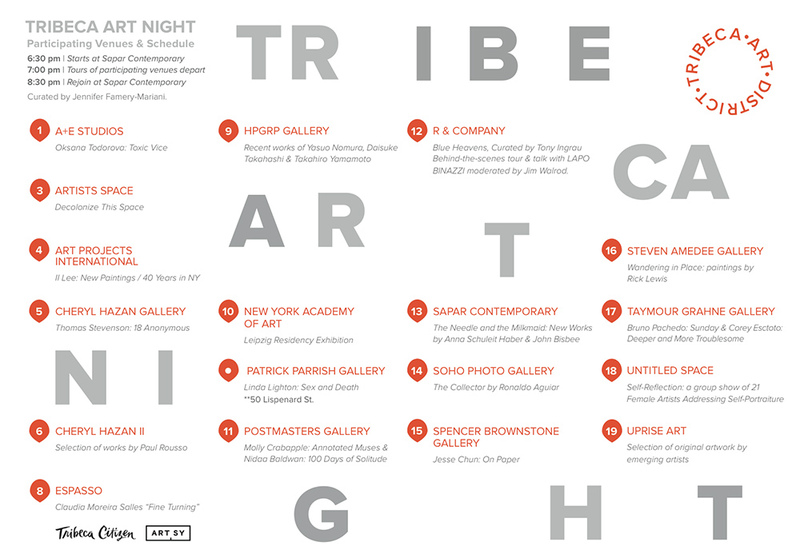 18 different galleries will stay open late, from 6:30 – 9:00pm in an initiative to put the Tribeca art scene on the map. 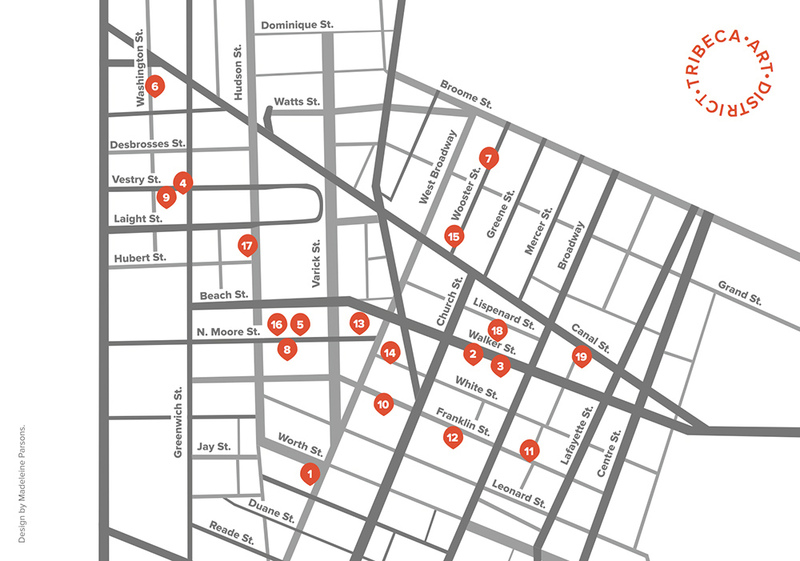 For those unfamiliar with the territory, there will also be four different guided tours, organized by Artsy. The Untitled Space will be a part of the event and is currently showing the group show SELF REFLECTION, an exhibition of 21 female artists addressing self portraiture including The Untitled Magazine‘s editor-in-chief Indira Cesarine. 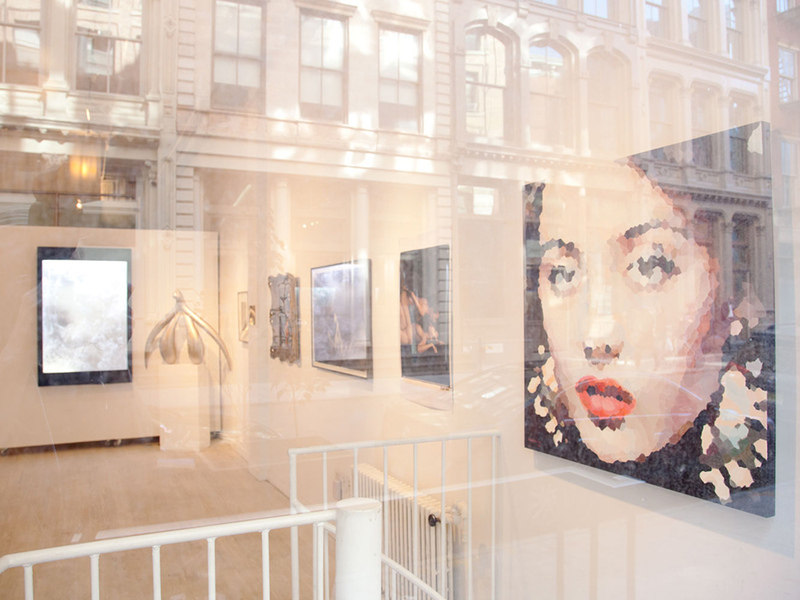 Artists Space, 55 Walker St.
Art Projects International, 434 Greenwich St.
Espasso, 38 N. Moore St.
HPGRP Gallery, 434 Greenwich St.
New York Academy of Arts, 111 Franklin St.
Patrick Parrish Gallery, 50 Lispenard St.
Postmasters Gallery, 54 Franklin St.
R & Company, 82 Franklin St.
Sapar Contemporary, 9 N. Moore St.
Spencer Brownstone, 3 Wooster St.
Steven Amedee Gallery, 41 N. Moore St.
Taymour Grahne Gallery, 157 Hudson St.